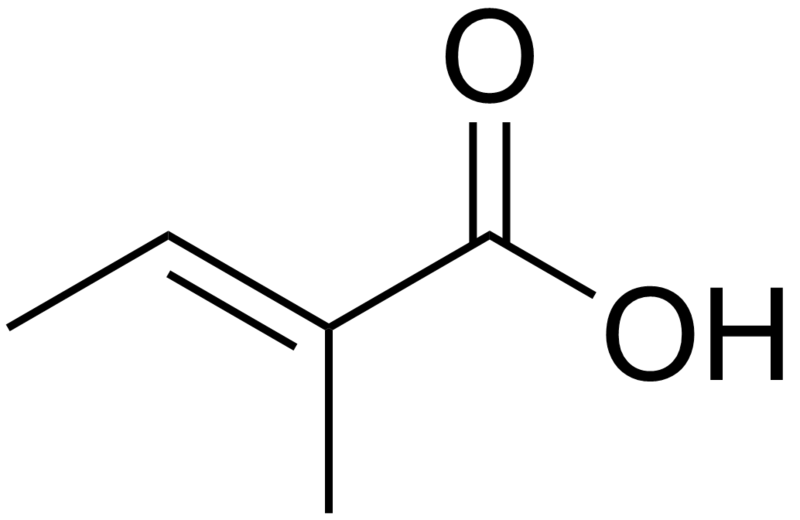 Which among angelic acid and tiglic acid (cis and trans isomers of 2-methylbut-2-enoic acid respectively) more acidic and why? I have some thoughts of my own. However, I am not certain if they are correct. The key to the question certainly cannot lie in the electronic factor because the cis- and trans- isomers do not differ in this aspect, except for the difference in the overall dipole moment. Thus, I believe we can only rationalise this with steric considerations. Let's first take a look at the chemical structures. The steric interaction I would like to focus on is the repulsion between the methyl groups and the negatively-charged oxygen atom of the carboxylate ion. Due to resonance, the negative charge would be delocalised over the two oxygen atoms of the carboxylate ion conjugate base. In the trans-isomer (angelic acid), the methyl group is located closer to one of the oxygen atoms (i.e. the oxygen atom of the carbonyl group). Thus, there would be a stronger repulsive interaction between the two. In the cis-isomer (tiglic acid), the methyl group is located further away from that oxygen atom, thus the intramolecular repulsion would be lessened, thus it is more stable. Since a more stable conjugate base implies that the acid is stronger, the cis-isomer (tiglic acid) is more acidic than the trans-isomer (angelic acid). This argument is in full agreement with the information presented in your reference book. 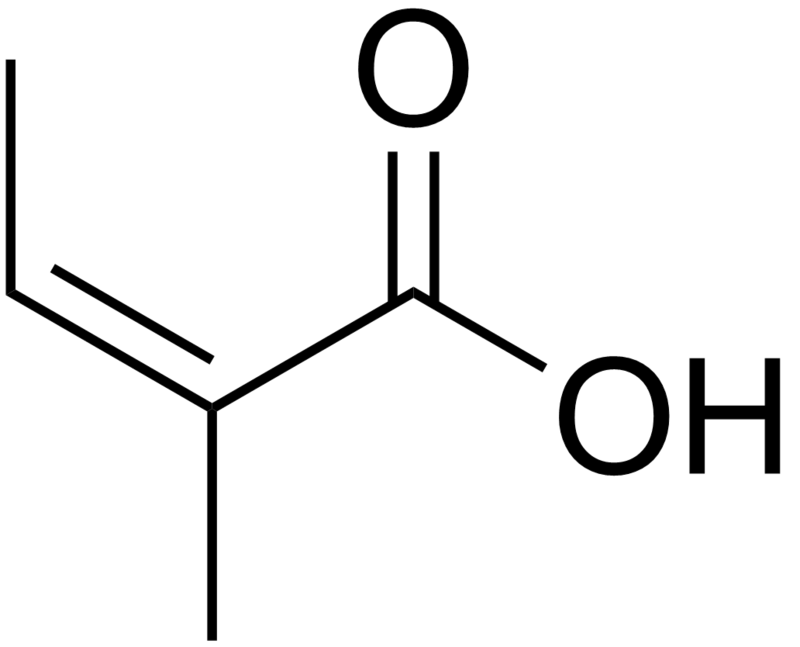 Why is glycine hydrochloride more acidic than chloroacetic acid? How to justify this contradiction in acid-base equilibrium of methanol and water? why is delocalization less effective when there is a separation of charge?